I do not understand why ppl are wasting their time online at various forums, spreading hateful comments on this or that group. Just like KP, I’ve also deleted some comments here which were just too insulting. I take it that those who have managed to get online are smart enough to draw a line between the things that need to be said and those that aren’t shared with the rest of the world. If you are having some aggregated anger – keep it to yourself or go and do some sports. And believe me, I am also extremely pissed at the (current) situation in Kenya. Hell, everyone is! Relatives are telling me: Thx God you’re not in EAK these day, JKE. Oh, well…. what do you do when things are breaking up and you’re feeling so damn helpless because all you can do is donating money and praying that this “crisis” will soon come to an end? “Germany”, my Austrian landlord told me today, “is a country where ppl aren’t directly helping each other. Only through anonymous donations…upon which they will receive a (tax exemption) receipt.” Hmmmm. I know many other cases where this assumption doesnt apply to – but coming back to Germany, I am reminded of this issue ppl had after WW2 when the following generation asked the same questions: what did YOU do to prevent this? Really nothing? Fast forward in 2008+. Let’s hope that moods will have settled a bit by then and that business is “back to usual”. What will happen to those who did crimes? Will they be able to live with this guilt? Or will they come up with the infamous “i was obsessed with daemons” phrase? And what will happen with those who lost relatives and property during the recent “post election”-violence? Forgive and forget? 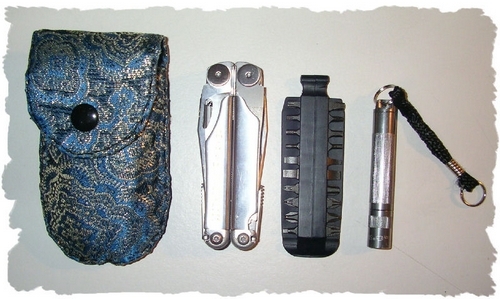 I wanted to blog my new Leatherman sheath and I end up talking about Kenya again. As for the AAAmaglite: who needs this in times of luminous LEDs? Dismissed. #2 attempt i’ve used this version up to today. Voil? 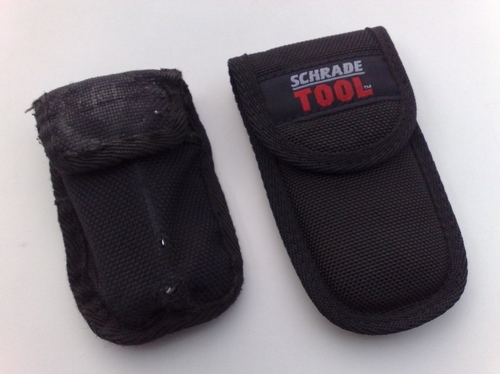 , attempt #3 in my quest for the ultimate tool sheath! It fits, it works, it wins. K1, what are you, some kind of Mountain Man? 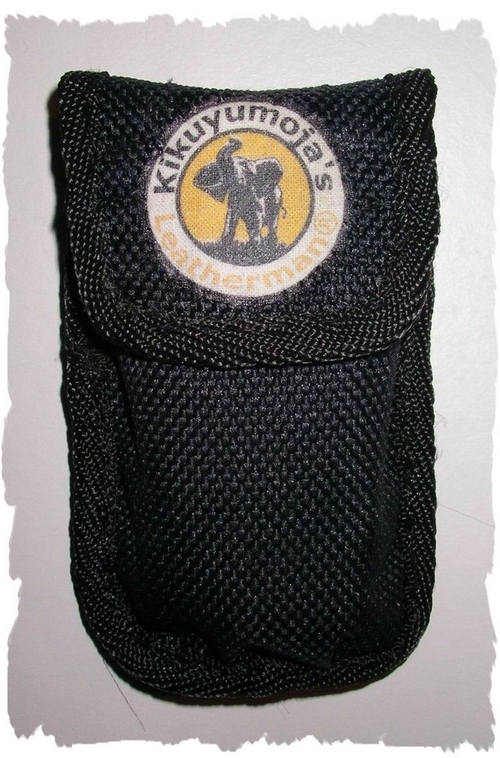 What are you doing that these pouches are getting beat up after only 2 years? Oh I am wearing them every day and using it quite often. Every time it sits on the belt, it wears off. 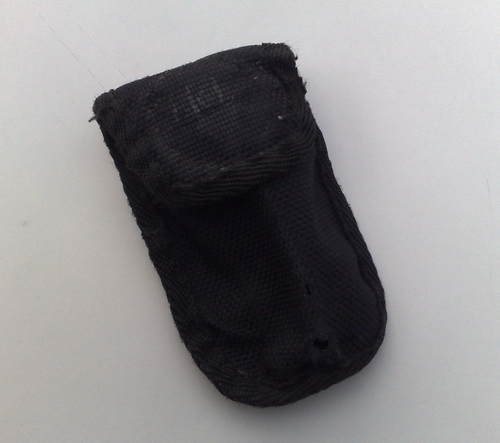 Guess that material (although from a Nitze Ize pocket!) wasnt that durable. 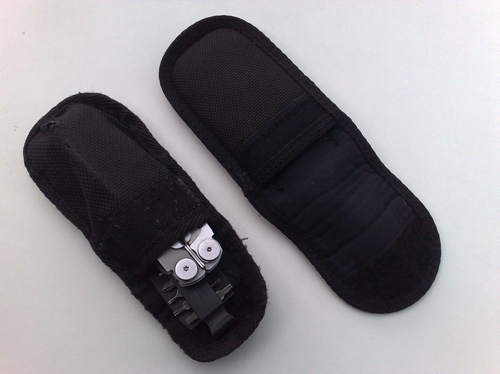 New sheath looks much stronger. 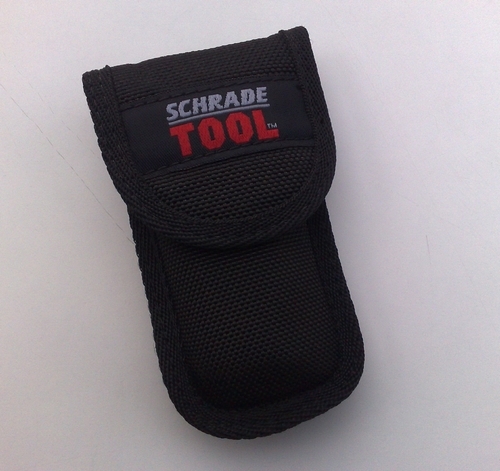 Also blacked out the “Schrade” logo, now it just reads “tool”. Ah the blue one, oh my, yes yes. What can I say? Check this: http://www.flickr.com/photos/kikus/sets/1004363/ I guess I like it just because (!) it looks so “unmasculine” = different.